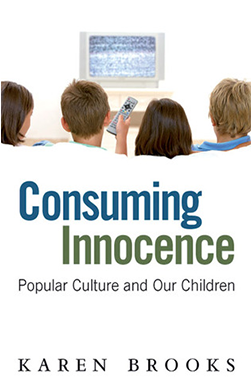 Consuming Innocence was my first non-fiction book that deals with the complex relationship parents, teachers and children have with popular culture – that is, advertising, sexiness, TV, computers, films, mobile phones and fashion. This timely book explains the effects on children and families of TV, movies, the Internet, magazines, books, celebrities, toys and fashion. I offer practical advice on how to engage in popular culture with your children and how to understand the relationship they have with the media and new technology. If you have tots, tweens or teens in your life, Consuming Innocence is essential reading.